If you have a tablet, you are going to want a case for it. Keep your tablet protected in gorgeous medieval, fantasy, and gothic fashion with our tablet cases. Here we offer tablet cases decorated with the artwork of popular artists like Tom Wood and Lisa Parker, perfect for representing your true style along with keeping your tablet safe. Shop these padded, zippered tablet covers here and you will find one that suits your particular tastes and the needs of your device. 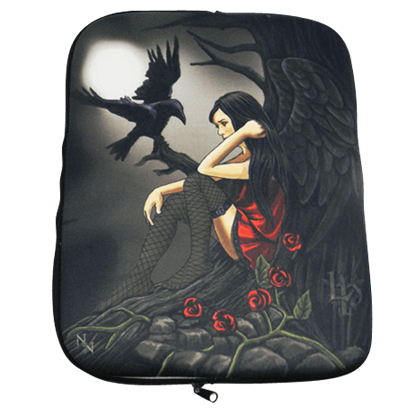 Check out dark fairy tablet sleeves, fallen angel tablet bags, and dragon tablet covers here. Our tablet cases are made of high quality materials and fit most standard tablets. One of the best ways to personalize your things is to adorn them with symbols and designs. 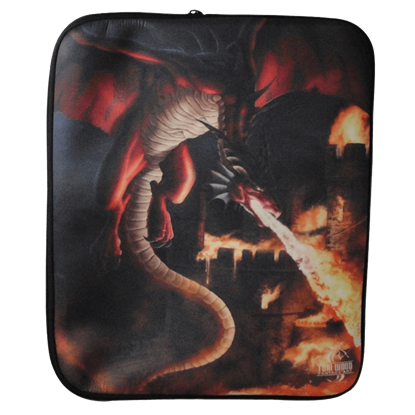 For those who love dragons, this Incineration Dragon Laptop Sleeve by Tom Wood is a perfect way to secure your tech and show off some style. If you looking for a way to keep your technology safe and sound, why not entrust it to a guardian? 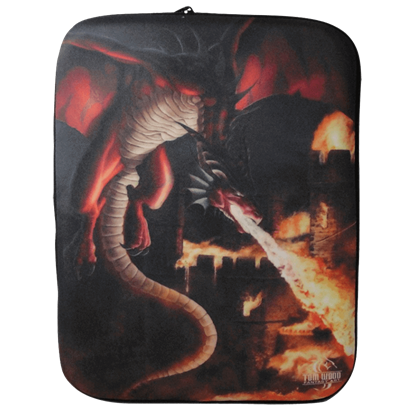 This Incineration Dragon Tablet Cover by Tom Wood displays stunning fantasy art and also offers some padding to help protect your tech.